There’s a fine line between being a parody of something and just being an actual thing, and Fred Armisen and Bill Hader may have crossed it with “Final Transmission,” their latest Documentary Now! episode. 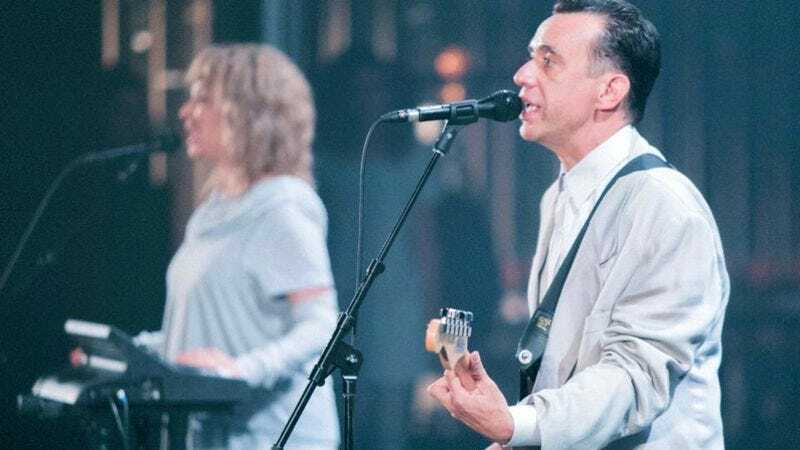 Built around an extensive parody of the Talking Heads concert film Stop Making Sense, the episode involved coming up with 10 Talking Heads parody songs and putting on an actual performance, which you can read more about here. It even had a surprise cameo from Paul Thomas Anderson for good measure. Of course, you can’t have a concert film without releasing a live album to go with it, and now Test Pattern—the fictional band from the Documentary Now! episode—has released a full Final Transmission album that you can stream below. Armisen and Hader did a similar thing for last season’s fake Documentary Now! band Blue Jean Committee, and the level of work that went into this parody is impressive—even if you’re not a Talking Heads fan. Not only are there 10 full-length tracks, but some of them are actually pretty great: We dare you to not jam out to “Everybody’s Moving Around,” even if Armisen’s Lee Smith isn’t crazy about it.